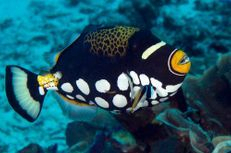 The bilateral symmetry of colored skin patterns of coral reef fish presents an impossible challenge to evolution. 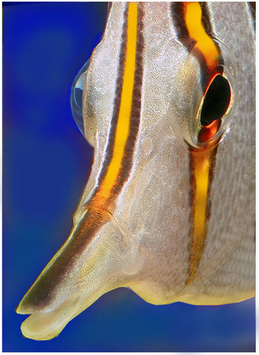 The copper-banded butterflyfish shows bilateral symmetry of its vertical stripes. This is because one set of genetic instructions directs the creation of stripes for both halves of the body. The existence of a mid-line stripe between the two halves of the fish defies evolutionary explanations. One set of genes must direct the creation of one half of the composite mid-line stripe, so that the mirrored version perfectly matches the other stripes on the sides of its body. 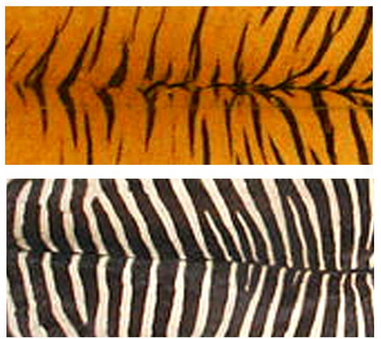 In most animal species, such as the tiger and zebra, the joining of the two halves results in a "seam", indicating that coloration of each half of the body is directed by one set of genetic instructions. 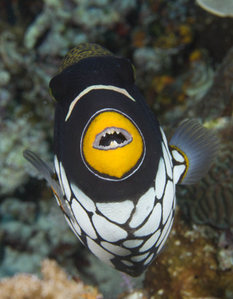 The clown triggerfish, despite displaying bilateral symmetry of colored patterns, does not exhibit a midline seam where the spots meet. If evolution had created this pattern, some of the spots would be transected. 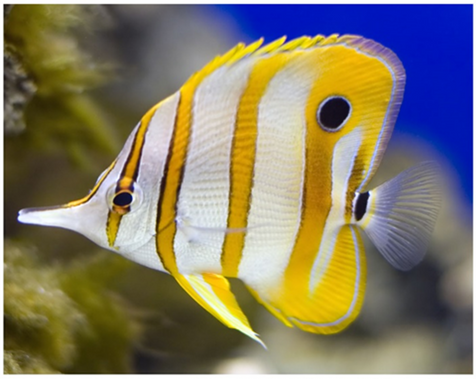 As in the case of the copper-banded butterflyfish, this observation is inexplicable through a model of evolution. Both of these beetle species display colored patterns which are transected at the joining of the two body halves, indicating that the genes directing these patterns create mirror-image patterns.